HaHa! My husband is a foot taller than me so he can relate to the quilter sized quilts. 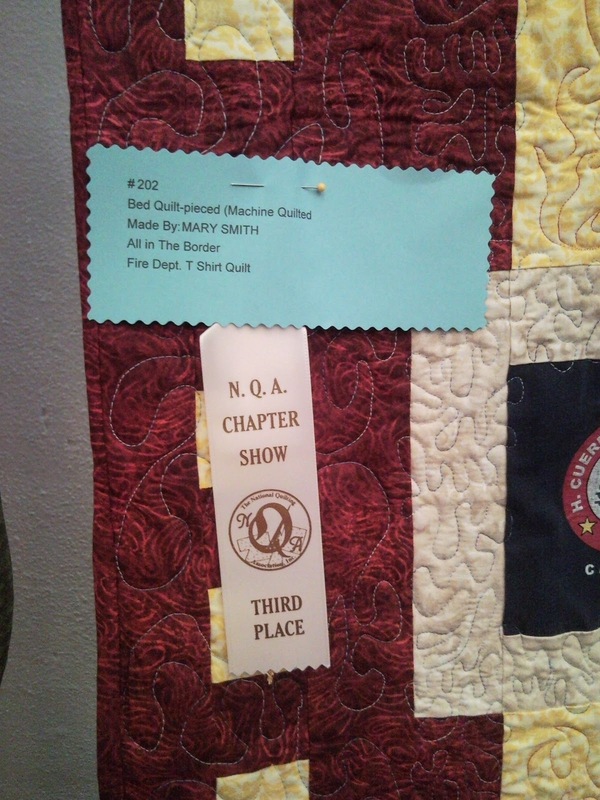 I really love your quilt, the design is eye catching and the yellow border squares really frame it up! 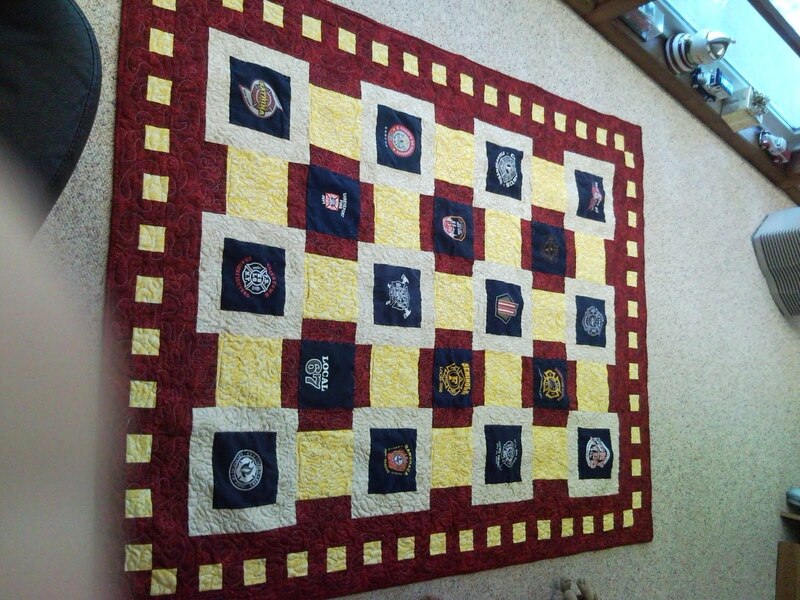 very nice quilt! congrats on the ribbon.. 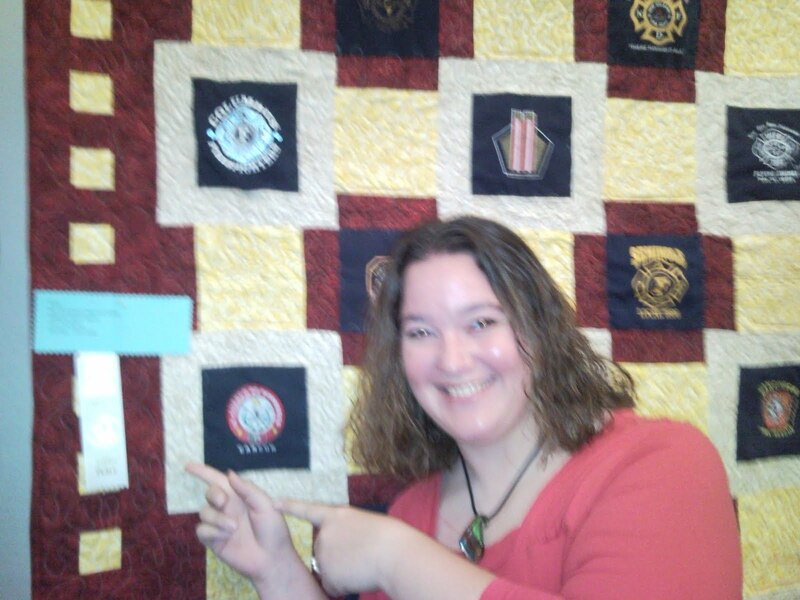 I know about making pint sized quilts too! great setting and arrangement for a tshirt quilt, raises it way above the average t quilt. Very cute about the length of the quilt! Congrats on your ribbon - looks like a fun project! I love it. The flames are great and the t-shirt squares are now preserved as a tribute. Wonderful. 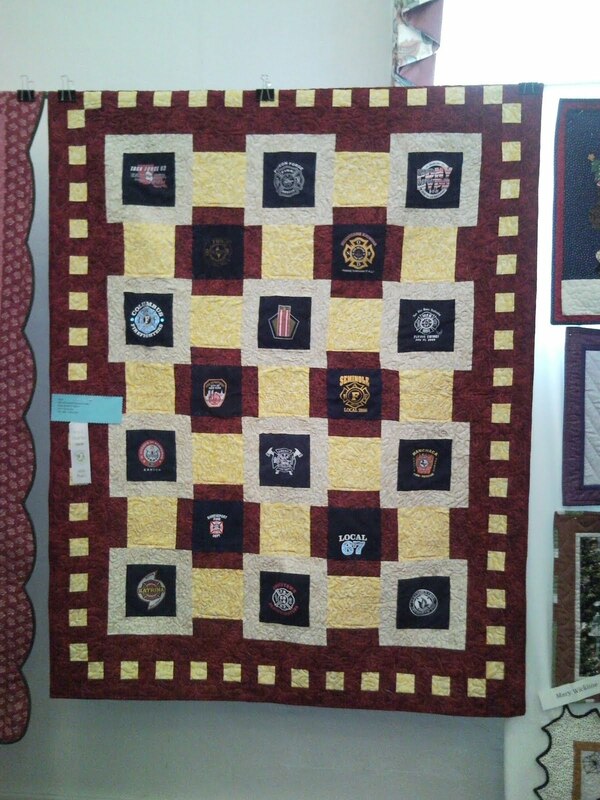 Great quilt. Well done with your show results, too. Would it be easier to shrink your husband? Hey, just a quick note to let you know I'm featuring you tomorrow on SewHappyGeek Feature Friday! Thanks so much for linking up, and be sure to grab a button! Oh well. Still a great quilt! Tell him size isn't everything!